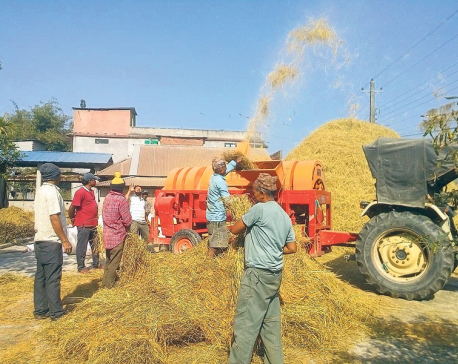 NEPALGUNJ, Dec 8: Farmers in Nepalgunj are delighted this year as well, with the Nepal Food Corporation (NFC) continuing to purchase paddy from them at an inflated price. Each year, the corporation gives them a price better than the local market to relieve the farmers of financial burden. The NFC purchases rice of both kinds: thick and medium paddy. And to the farmer's joy, it has increased the purchase volume this year. The NFC will now purchase 25,000 quintals, up by 5,000 quintals from last year's figure. Compared to last year when the corporation purchased thick paddy for Rs 2,040, this year the rate has gone up to Rs 2,339 per quintal. Likewise, the NFC is giving Rs 2,460 per quintal for medium paddy, which is also a good price, according to the farmers. The prices the farmers get from the corporation are Rs 300 to 400 higher than the going rates in the local market. Rasul Ahmad, a farmer from the district, said: "The actual market price of the paddy does not reflect the hard work of cultivating paddy. However, the prices offered by the corporation relieve us from financial burden to some extent." Until the beginning of November, farmers were compelled to sell their yield in the local market as they were under financial pressure to celebrate the festive season. The NFC started purchasing rice from November last week. Bharat Kumar Yadav, a farmer from Nepalgunj Ward 10, said that more farmers would have benefitted if the NFC started purchasing paddy a bit earlier. "When the festive season approaches, we farmers are under pressure to manage money to celebrate. So we have to sell at whatever price we get." Hari Prasad Joshi, chief of NFC Nepalgunj, said: "This year we have increased the capacity to 25,000 quintal. We may purchase more depending upon the situation." Last year, the government had purchased 23,108 quintals even though it had announced to purchase only 20,000 quintals. 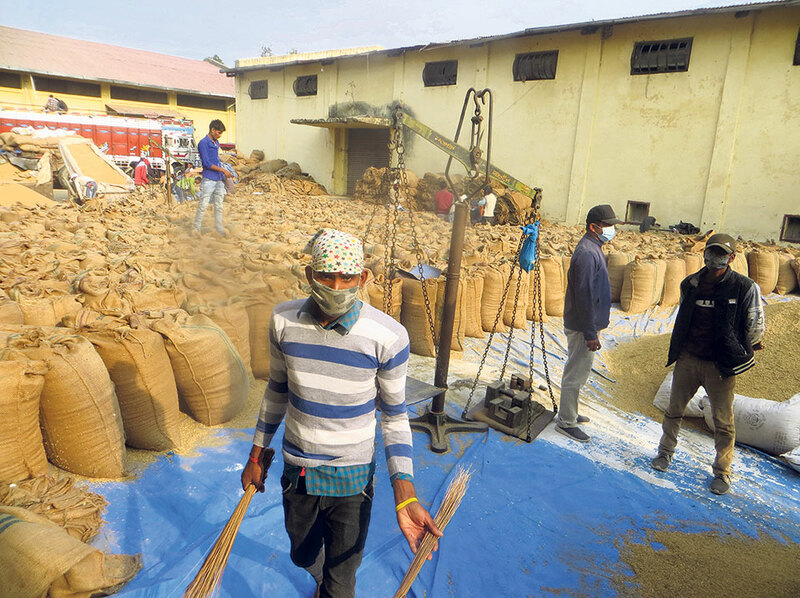 By the first week of December, the NFC has purchased over 2,900 quintal of paddy through its collection center in Nepalgunj. KATHMANDU, July 22: Paddy transplantation has been completed on over 72 percent of the rice fields in the country so far.